Employee turnover is an important statistic for staffing firms—it assists you in determining how often you will need to hire new employees. A high turnover rate means that your employees average a shorter tenure with your firm; when the turnover rate decreases, average employee tenure goes up. What does this mean for your firm? The lower the turnover rate, the less money your firm spends on recruiting, new-hire administrative expenses, training, and any other costs associated with replacing employees. Lower turnover could mean increased profit margins for your firm. The turnover rate for your company tells you, on average, how many times a single position within your company was occupied by a different employee throughout the year. Suppose you had one position and one person filling that position throughout the entire year, your turnover rate would be zero—there was no change in the person employed in the position throughout the year. If you had one position and two people had filled that position throughout the year, your turnover rate would be 100%. This is calculated by taking the number of people employed (two in this example) and dividing it by the number of positions or jobs (1 in this example), then multiplying the result by 100. Next you must subtract 100—this 100 accounts for the person who is initially employed in the job. For ASA members, an interactive calculator is available for you to quickly and easily calculate your company’s turnover rate and see how you compare to the industry average. You can calculate the turnover rate for both your internal, corporate staff, and also for your temporary and contract employees; be sure to calculate these two turnover rates separately, as they are typically very different. In order to calculate your company’s turnover rate you first need to determine your company’s average weekly employment (for internal employees or for temporary and contract employees) and the number of W-2s your company issued throughout the year to the employees for the employee type for which you are interested. 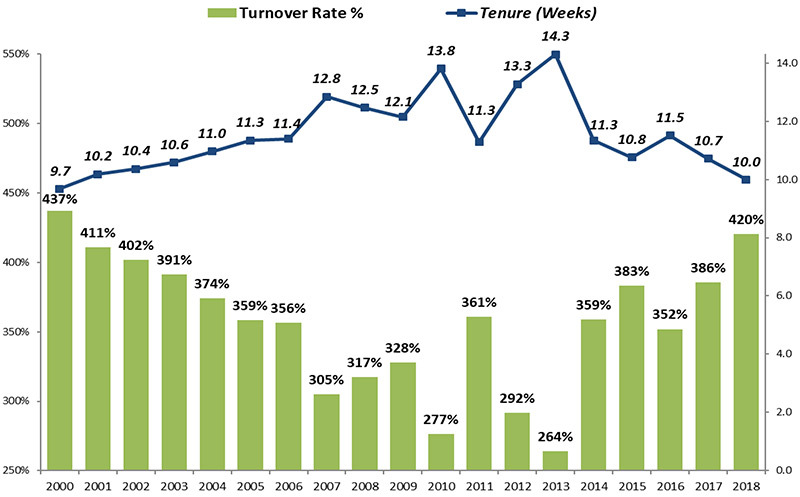 In most staffing firms, the number of temporary and contract positions available fluctuates weekly. Calculating your company’s average weekly employment will help you to determine how many positions your company filled in an “average” week over the course of the year. To calculate your company’s average weekly employment, first determine how many employees your company had during the week that included the 12th of the month for each month in the year, sum these employment levels, and then divide the sum by 12. Once you have determined your average weekly employment, you need a count of how many temporary and contract employees you had throughout the year. 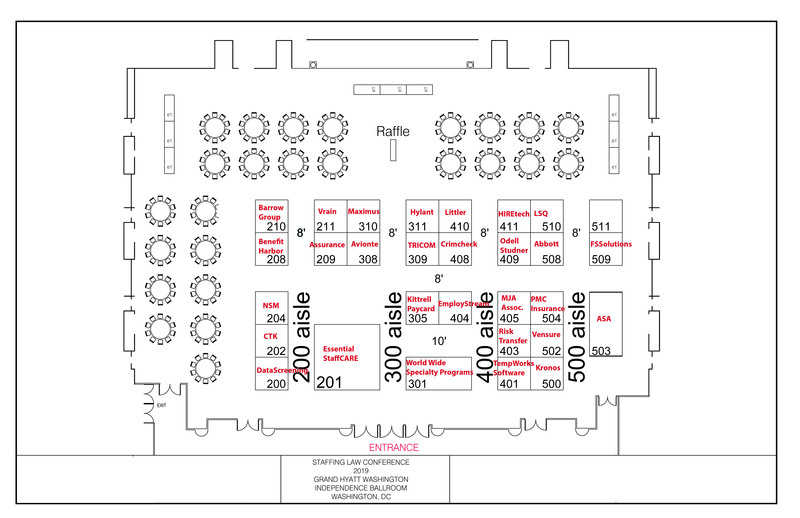 The quickest and best measure of this is the number of W-2 forms that your firm issued to temporary and contract employees for the year, since each employee will be connected to exactly one W-2 regardless of the number of positions they held. You can use this same calculation to determine the turnover rate for your internal employees, as well. Join today to get the research and data to give you a competitive edge. ASA’s exclusive survey data on sales, employment, and salaries gives members a true competitive edge and helps them to maximize revenue and income. 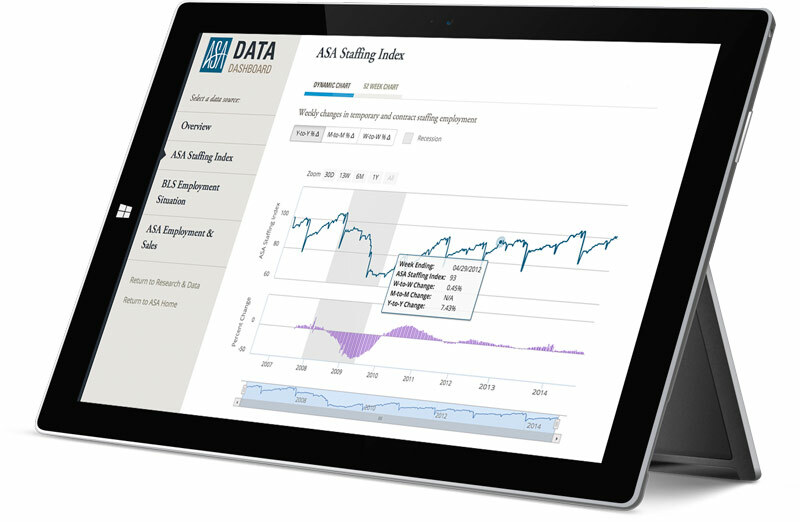 ASA puts a wealth of other valuable research and data at your fingertips, too, including government data and the weekly ASA Staffing Index.